This is a very favorable period to reach the uttermost balance at home and in career matters. The clue for positive emotions is to reach the fastest way of confidence and stability. 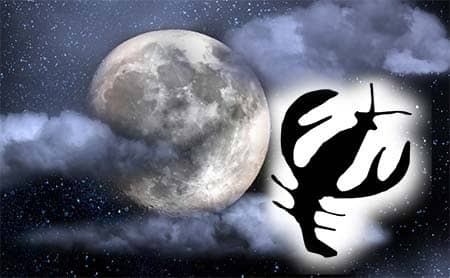 Cancer is the native sign and the initial location of the Moon. Being in this sign, the Moon is at home, in its nest. As usually, emotional intensity and changeable moods will overwhelm logic and rational behavior. Because of great maternal and parental instincts, cancer-identities will give much heed to their domestic affairs. It would be utterly difficult to concentrate on work, as home matters and personal affairs prevail in this period. Nevertheless, the spheres of service, such as restaurant or hotel business, will be successful. While this period, it would be good to remain at home with your family, getting closer to each other. This is a prosperous time the unity. You may go visiting your relatives and close friends, expecting their hospitality, and pay them back the same. Though it's not the best time for hang-outs, you may undergo some brief trips to rivers and lakes. During this time, keep an eye on your digestive system. Try not to overload it, for you may receive some troubles afterwards. The areas of chest, lungs, stomach and liver will be weak during this period. These individualities are of the most obvious home-type. Their affections run deep and they possess splendid imagination.